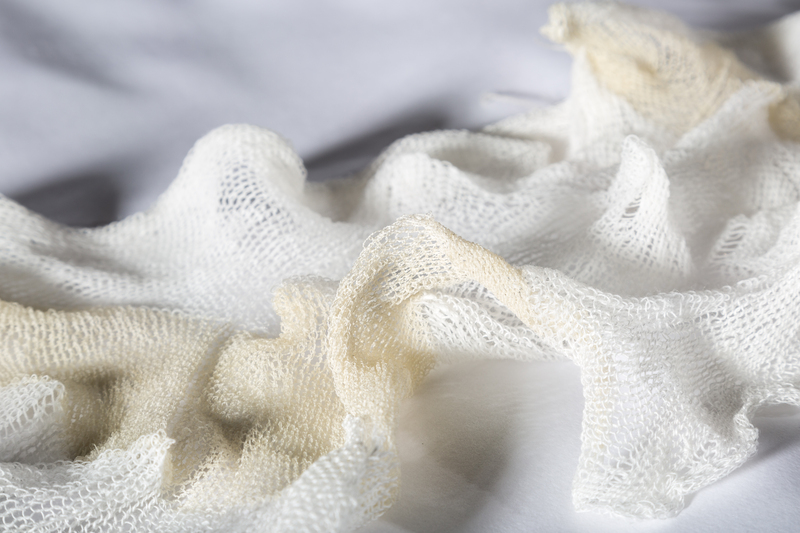 A collection of environmentally responsive, shape changing knitted fabrics. Constructed from linen and wool. 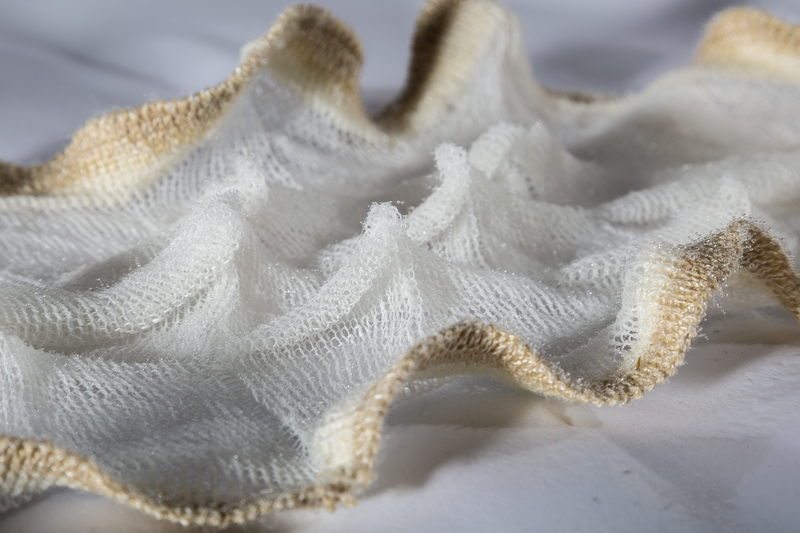 These fabrics demonstrate the principles of programmable knitting; shape change is integrated into the structure of a knitted fabric using the hierarchy of fibre, yarn, knitted stitch and knitted structure. 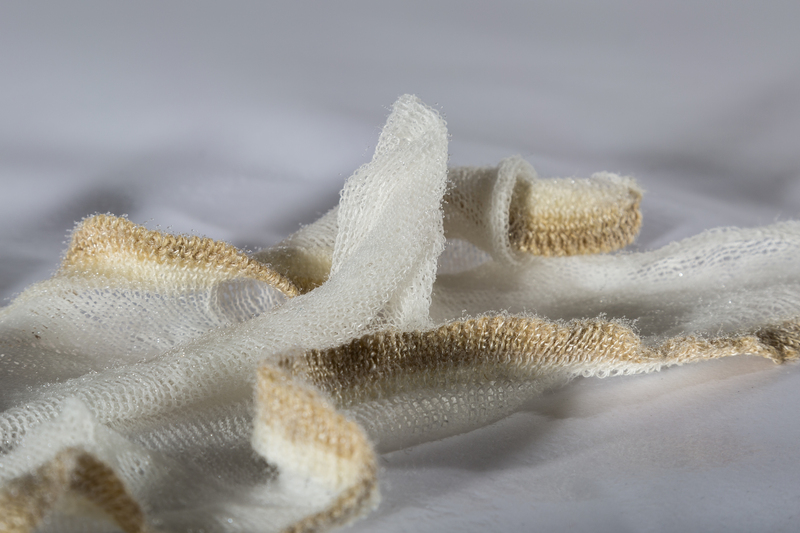 The programmable nature of the responses illustrates the complexity achievable using knitted fabric construction processes. These prototypes can be constructed as large scale functioning surfaces using conventional knitting technologies.